Made to Order; normally delivered in 3 - 5 weeks. A market leader in the Lloyd Loomb weaving technique, Vincent Sheppard have been designing and manufacturing outdoor furniture since 1992. The Ivo Side Table is new to the 2019 Outdoor Collection, with a series of black linear wicker hoops stacked vertically on a sleek aluminium frame. 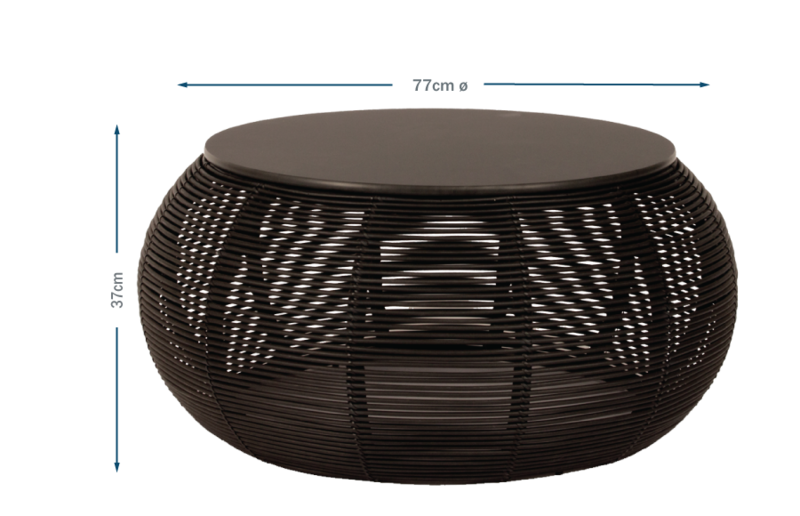 The round silhouette of the table adds a soft yet elegant touch to your outdoor space, and is available in both side and coffee table options. Ivo adds soft yet playful elegance to any outdoor area. Design inspired by the classic 'Lloyd Loom' weaving technique.